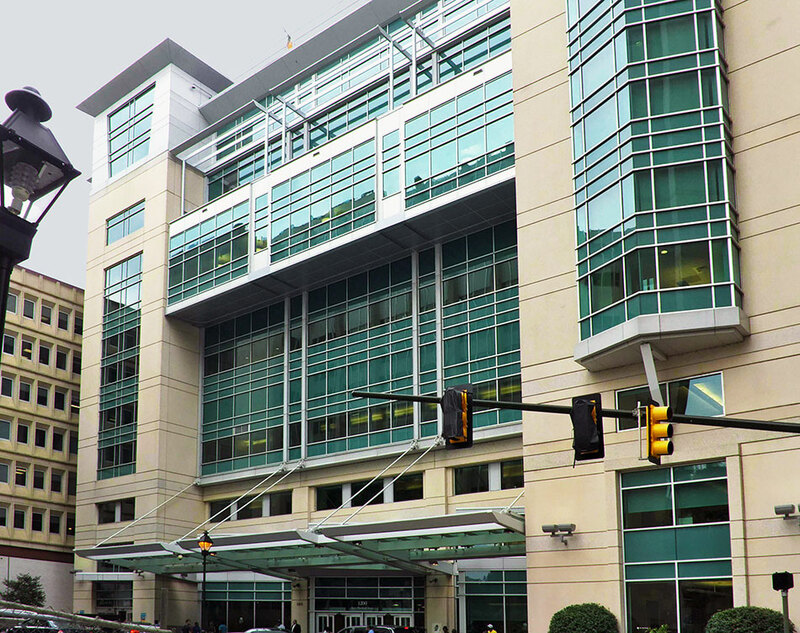 This project began in February, 2014 ACI serves as Mechanical Trade Contractor for this complete HVAC phased renovation of 85,000 SF in an active hospital. This major design-assist effort was implemented using Integrated Project Delivery (IPD). ACI was selected for this project not only for our experience and reputation, but for our design-assist expertise and our “Big Room” team collaboration approach, which we believe is essential on a project of this magnitude. The 48-month construction schedule is expected to be completed in early 2018 and includes a post-anesthesia care unit (PACU), 19 operating rooms and an MRI suite. The areas impacted are on five floors and the roofs of three buildings; throughout the construction period, the 14 existing operating rooms were to remain functional. To allow movement of equipment and facilitate direct access to mechanical room, an inoperable louver was installed in the precast portion of the 6th story of PSR. The louver will ultimately be converted to use as a pressure intake for the final phase of AHU installation.